Content marketing has become one of the most popular and effective forms of marketing in recent years, and with good reason. Not only does content marketing give firms a voice, it provides them with an opportunity to communicate their message without forcing it down people’s throats. By creating something around a pertinent or newsworthy item or highlighting a common problem or issue that affects current or potential customers, it is possible to hook the audience. The next step is to offer insight that goes beyond simple opinion, and then deliver one or more solutions to the problem that may or may not be solvable by utilising the company’s products or services. So, it’s just blogging, right? No. Although it may sound simple, implementing content marketing properly is a balancing act that combines many elements that must all be tweaked to ensure the perfect mixture. Simply offering random thoughts on a subject and publishing it on your site – regardless of how newsworthy it may be – will achieve very little. Instead, time needs to be taken to understand the business and its aims – not only where it wants to go, but where it is now, where it has been, and what resonates well with audiences. There is a trial and error aspect to any strategy, but the chances of success can be increased greatly by knowing what the audience wants and needs – not only from a product point of view, but from a content perspective. Understanding your audience is the most important aspect of content marketing – indeed, any form of marketing. Aiming the right things at the wrong people is arguably worse than doing nothing at all, as it is tantamount to wasted effort. Instead, using insight provided by Analytics and other measurement metrics can shed light on who is coming to your website, who is enquiring about your products and services, and in what areas they are most interested. Combining this with information you already have about customer data can then help to create an informed idea of where the content needs to be going – and what type of content you need to create. One of my biggest bugbears is the word ‘blog’ being used to describe every piece of content. What you’re reading now is a blog, as it encapsulates my thoughts and is being published online and through social media to deliver insight. On the other hand, a 3,000-word piece that examines the impact of legislation on the environment could not be further from a blog. It is thought leadership, a white paper, a document used as collateral, but it is not a blog. However, it is still content. From a blog, to a press release, to a video, to a white paper, to a meme, to an interview, to an infographic, to a landing page, to an audio recording, to a social media post – it is all content, and together plays an integral role in helping to communicate a brand message in a variety of different ways. Is there room for blogging? Of course there is. First party content (created by the brand), combined with third party content (created by another company or individual) can together be an effective combination. 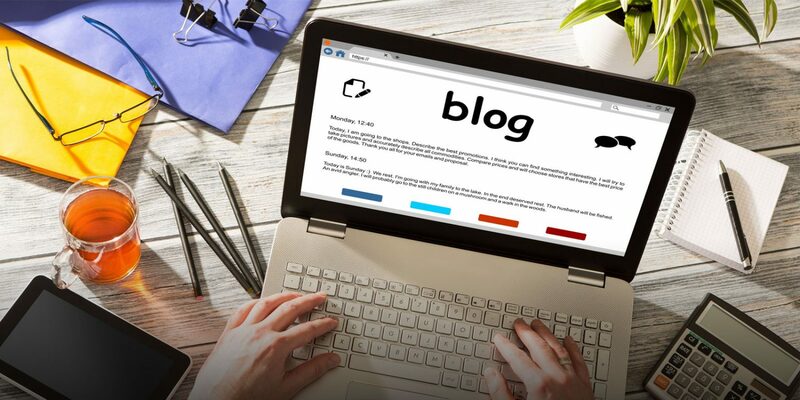 Not only does it offer additional backlinks and new platforms on which to publish and promote content, it also has a direct impact on boosting reach and awareness, but this applies to far more than just blogs. Well now I know this then I can just do it myself, can’t I? Again, no. In theory it may seem easy to produce something that your audience will engage with – after all, who knows your customers better than you? The problem is, knowing the current customer base and what they want is a world away from tapping into new markets and customers who may want something completely different. Just because something is good, it doesn’t mean it can’t be great. Just because something works well, it doesn’t mean it can’t work perfectly. Another crucial part of the content marketing process is evaluation – using hard data to help inform future strategies and approaches. Only by dissecting data around how content performed, where it was shared, who shared it, who it drove to the website and who then registered interest in a product or service or bought it, can we know what is successful and what is not. As previously stated, trial and error is involved with any aspect of marketing at first, but by properly monitoring and evaluating the information at hand, we can substantially reduce the amount of error, refine the tactics and streamline the entire process to run like a well-oiled machine. At Brand8 we believe in the four pillars of content, which starts with generation (forming an idea), moves on to creation (producing the content), then to amplification (publishing and posting the content) and finally evaluation (seeing how it performed). There is far more to each of those processes than I’ve mentioned, but the fact is that each part of the process is dependent on the others and none can work properly without it. If the content being produced is not properly optimised through the URL, heading, sub-headings, keywords, backlinks etc, it will not perform as well online and in Google searches. If it is not published and amplified on social media with the right tags, at the right times, on the right days, it will not be as effective as it can be. The same goes for the measurement process and even the ideas stage, where potentially fruitless topics and tactics need to be nipped in the bud, refined and started over. As with any strategy in any part of any business, having the right foundations in place will significantly increase the chances of success. It increases the variety and scope of the content, the potential publishing platforms, the reach, the engagement, and the ability to measure it. Most importantly, it is more than just blog writing. Content marketing is here to stay, so it needs to be done properly.